Full combo set for your desktop, or to transform your laptop to a full gear workstation. Featuring a standard keyboard with number pad, the quiet and responsive keys makes typing a breeze. Tilt the keyboard easily with its foldable legs for an ergonomic typing experience. Simply plug in for immediate usage. No installation of software or batteries required. No worries about spilling your drink accidentally on the keyboard - the liquid simply drains out! The keyboard survives up to 80ml of liquid based on in-house testing and cannot be submerged in liquid. 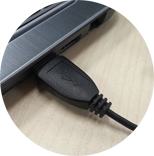 Adjust the volume of the audio conveniently with dedicated key controls. Never have to scramble for a makeshift mouse pad again. 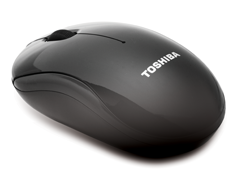 The USB Optical Mouse U20 comes with Blue LED Technology that offers improved tracking on more surfaces - even glass*! * Blue LED Technology will track on glass with regular environmental dust, but not totally clean glass. With its compact design, you can easily slip this mouse into your travel case or handbag.